If you love crab cakes you’ll love tuna cakes as well. They’re incredibly flavorful, can be eaten on their own or you can turn them into tuna sliders with avocado and pico de gallo. These sliders are made using Blue Harbor Wild Albacore tuna. 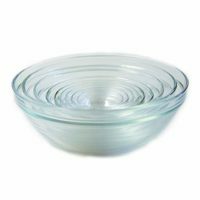 They’re fresh, simple and perfect to enjoy all spring and summer long. This is sponsored post brought to you by Blue Harbor. Opinions are my own. I am a seafood lover through and through. While I absolutely love crab cakes, they can be expensive. I have something equally as delicious and a whole lot more budget friendly. Tuna cakes (or patties for those of you just can’t get past calling it a cake, I get it). It starts with quality tuna. Their tuna is wild, line-caught premium quality fish that offers a delicious, mild, clean flavor. Blue Harbor is MSC Certified, which means it complies with sustainable practices and ensures each fish is traceable back to the boat. It’s soy Free, Gluten Free and Dolphin safe. And if that wasn’t reason enough, another HUGE reason I’m into it, is it’s convenient. How you ask? Blue Harbor tuna comes in a convenient pouch. 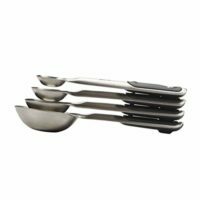 That means you can forget about a can opener because there are NO cans to open AND, wait for it, their pouches require NO DRAINING. How’s that for convenient. Blue Harbor tuna comes in a choice of sea salt or no salt added tuna. If you live in the South or Southeast like I do, you can find Blue Harbor Tuna at your local Publix store. Simple ingredients that are environmentally friendly. That’s something I can get behind. 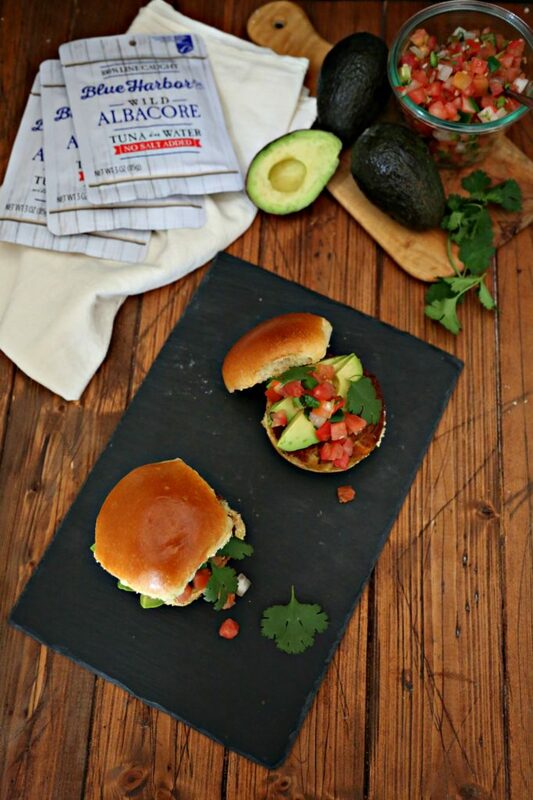 These Tuna Sliders with Avocado and Pico de Gallo are going to be your new go to for spring and summer. 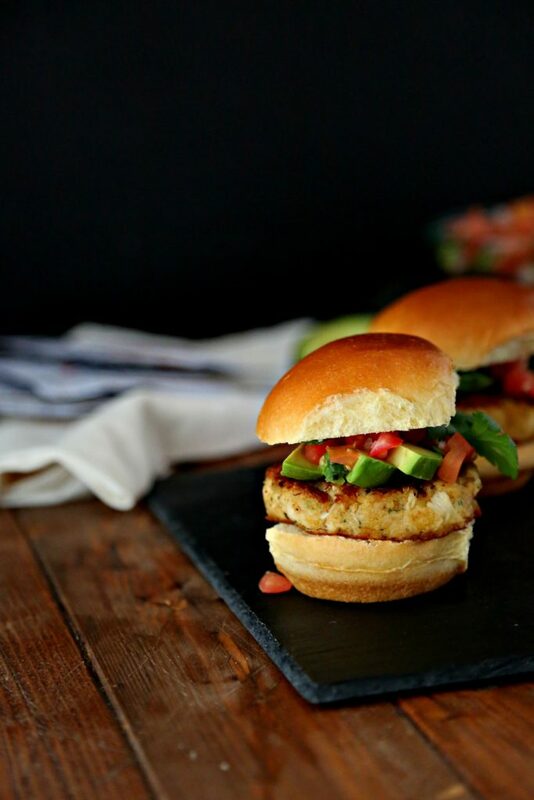 They’re perfect to serve as an appetizer at your al fresco parties, girl friend get togethers, pool side or just because you’re craving a delicious seafood slider. All you need are a few simple ingredients (that you probably have on hand in your pantry and fridge – nothing exotic or hard to find in this recipe) added to our Blue Harbor Tuna. A little, panko, mayo, onion, celery and seasoning. Easy peasy. Form them into patties, freestyle because who needs the pressure of perfection. Amiright? If you’re serving a crowd just double or triple the recipe. You could even make the patties in advance and keep them in the fridge on parchment or aluminum foil until you’re ready to pan fry them. Now let’s chat about those buns. I’ve gone with a buttery brioche dinner roll to compliment our Tuna Sliders with Avocado and Pico de Gallo. Yes, dinner rolls. They’re the perfect slider size. If you can’t find brioche dinner rolls, no worries, you can easily substitute sweet Hawaiian dinner rolls in their place. Don’t sweat the small stuff. We’ve got tuna sliders to get to. 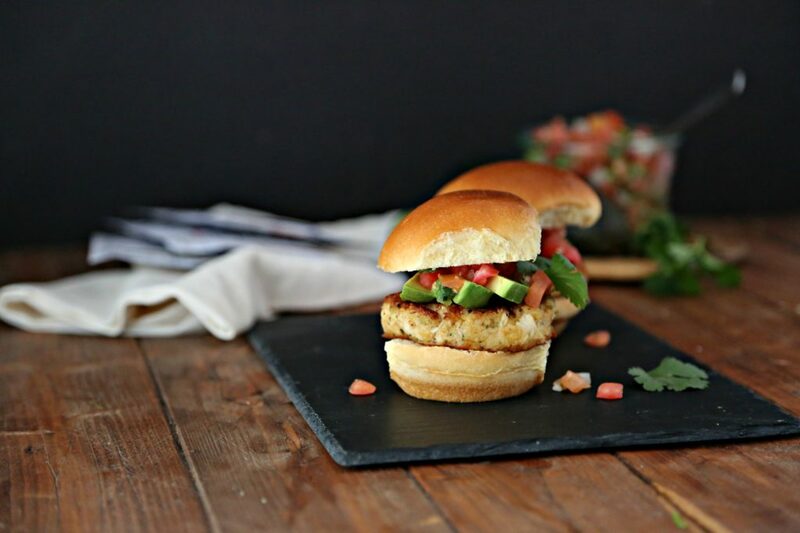 To finish off these tuna-riffic patties add a few slices of creamy avocado and a heaping spoonful of pico de gallo. That’s simply salsa fresca. You can make it yourself OR you can typically find it pre-packaged in most grocery stores. It comes in a variety of spice levels so if you like spicy or not. Up to you. I fall under team cilantro so I garnish with that as well. Not crazy about it? Gasp, no problem, just leave it off! We’ve also got a great Tuna Puttanesca recipe you might wanna take a peek at! Made using, you guessed it, Blue Harbor Tuna! Disclaimer: This is a sponsored post written by me on behalf of Blue Harbor. Opinions are my own. If you love crab cakes you'll love tuna cakes as well. 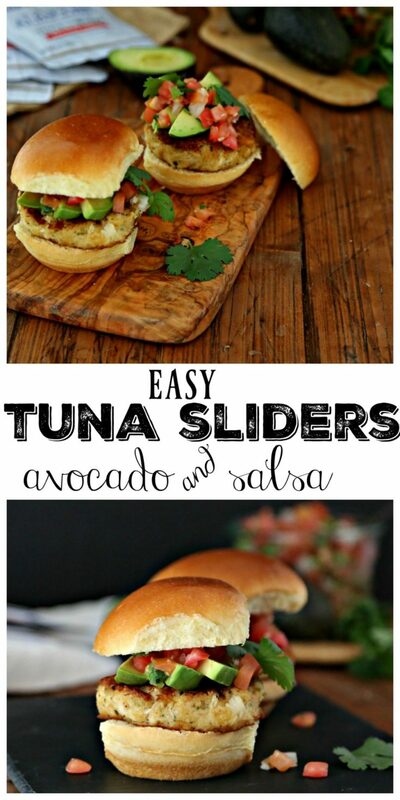 They're incredibly flavorful, can be eaten on their own or you can turn them into tuna sliders with avocado and pico de gallo. Into a bowl add: tuna, panko, mayonnaise, celery, onion and seasoning. Mix until combined. Form into two equal sized patties. Cook patties 2-3 minutes on each side until golden. Transfer to a paper towel to absorb oil. To assemble: place patty onto bottom of brioche roll. Top with avocado slices and pico de gallo. Repeat for other roll. These look so delicious, can’t wait to try! Great idea, those look delicious!